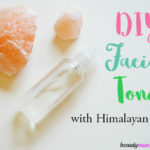 DIY Baking Soda Face Wash - beautymunsta - free natural beauty hacks and more! Let’s face it – Soapy face washes dry skin out like crazy. The dry tight feeling I get when I use soap makes me cringe because I know dry skin leads to wrinkles. That’s why I always try to make my own face washes for a gentler non-drying face cleansing routine. 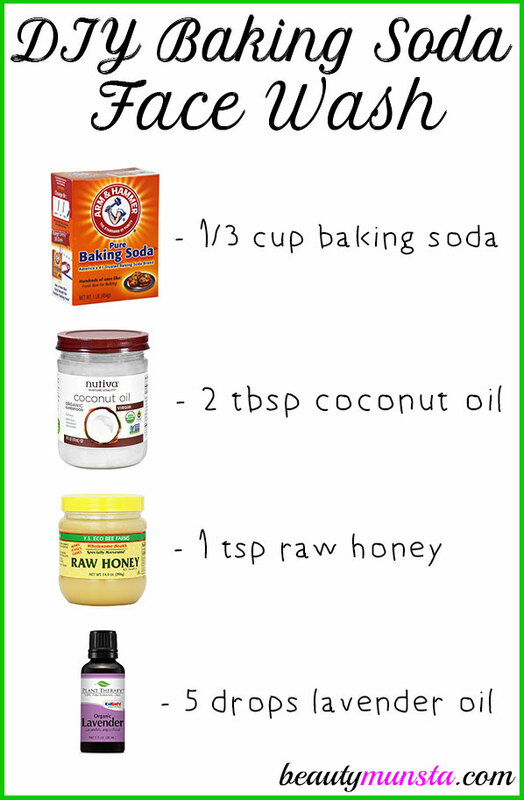 Today, I’m sharing an easy DIY baking soda face wash for clear smooth skin! Baking soda – Why baking soda? We’re going to be using baking soda because it has a mild abrasive texture. This abrasiveness is good for scrubbing off grime, dead cells, germs and stale oils from within the skin pores. 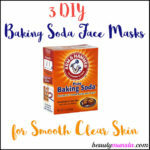 Baking soda also has a skin smoothing effect and is good for removing blemishes. It’s alkalinic but safe to use on your skin, especially if you’re going to tone it with an apple cider vinegar toner. Coconut oil – This soft and creamy oil is antibacterial which fights off germs, especially acne causing bacteria. 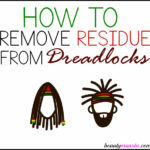 It also drives out stale oils stuck within pores. Coconut oil is also moisturizing and leaves skin soft. If you have acne prone or oily skin, use sunflower oil instead. Because sunflower oil is non-comedogenic (won’t clog your pores). Raw honey – A nourishing ingredient, raw honey will feed your skin cells with much-needed nutrients to keep it looking and feeling good. Raw honey is also cleansing and a natural humectant which moisturizes skin cells. Lavender essential oil – It has an antibacterial effect, makes the face wash smell pleasant plus has a skin soothing and calming effect! In your wide mouth jar, dump in the baking soda, soft coconut oil, raw honey and lavender essential oil. Mix everything together using a smooth till you form a soft paste. Use twice: once in the morning when you wake up and in the evening before bed. 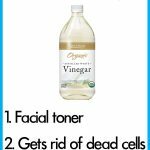 After washing your face, tone it with a DIY Apple Cider Vinegar Toner. 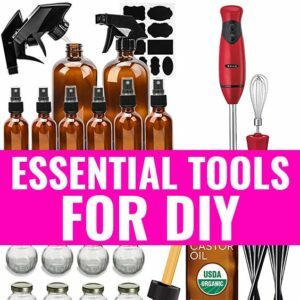 To make the toner, simply pour ¼ cup of distilled water into a 4 oz amber spray bottle then add ½ tsp of raw apple cider vinegar. Shake well and spray on your face. Wait for it to dry then moisturize as usual. 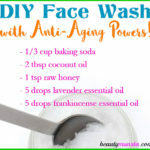 Enjoy this DIY baking soda face wash recipe!